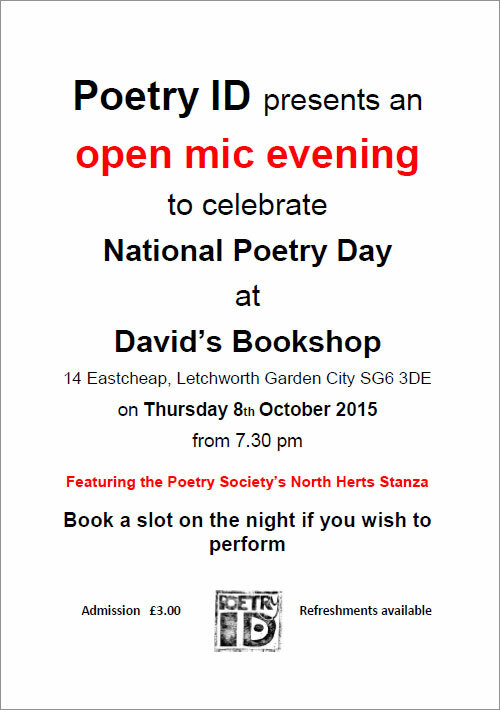 Poetry ID are celebrating National Poetry Day, Thursday 2 October with a reading at David’s Bookshop, Eastcheap, Letchworth Garden City SG6 3DE starting at 7.30 pm. Admission is £3.00. The evening is compered by David Van-Cauter. There will be an open mic element, and all are welcome. Copies of our 2014 anthology, From Different Skies, will be on sale. So come along and enjoy a great evening out. A splendid time is guaranteed for all. 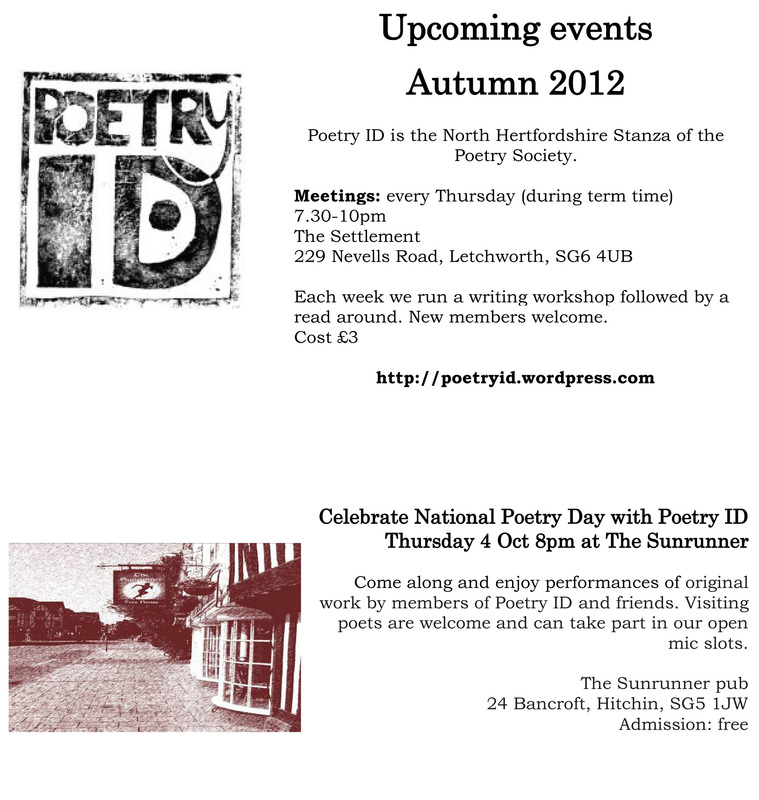 See our photos at The Sunrunner, Hitchin on National Poetry Day. Celebrate National Poetry Day with Poetry ID…….